Kevin Lillard is best known among fans of Japanese animation as the person who operated the "A Fan's View" web site that covered anime conventions. From 1997 to 2009, he attended more than 200 of those events from Florida, California, and Canada. During that time he also was a reporter for the Indianapolis Star, and the announcer for the Indianapolis Speedrome and the NAMARS racing series. It wasn't unusual for him to spend one day covering a newspaper story, and the next night at a race track and go to a fandom event a couple of days later. The web site began with a trip to Georgia for both Anime Weekend Atlanta and the final NASCAR cup championship race at the Atlanta Motor Speedway. Both experiences were to fascinating that he kept going to both races and conventions. His work appeared in such diverse publications as National Speed Sport News and Newtype USA. For his web site efforts, he received the Momiji Award in 2012 from the organizers of Anime North. 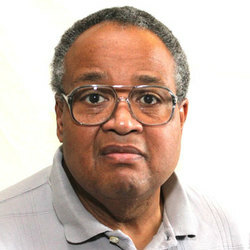 His work for various radio stations resulted in a national Unity Award from Lincoln University.